A country almost unknown to most, Kazakhstan holds the presidency of the Organisation for Security and Cooperation in Europe this year. This organisation is recognised under the regional agreement of the United Nations Charter and offers a platform for dialogue and decision-making in conflict prevention, crisis management and post-conflict recovery (human, politico-military, economic and environmental aspects of regional security) to European and ex-USSR countries since 1994, following the Helsinki Final Act. It may be surprising that such a responsibility be given to a young Muslim nation that only became independent in 1991. A brief review of its history enables us to shed some light on its remarkable development. 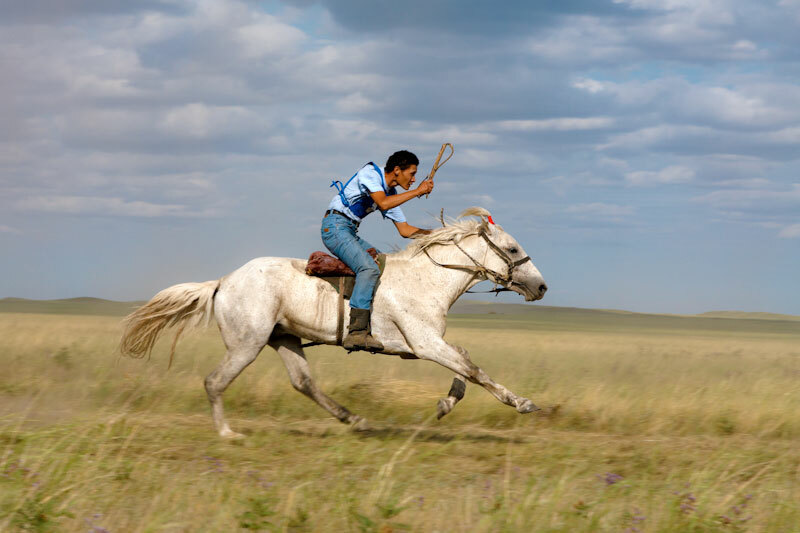 Kazakhstan is an enormous steppic territory at the crossroads between Chinese, Turkish, Russian and Persian civilisations, which was home to the largest nomad population in the world until the end of the 19th century. Settled by force under Sovietism, the country has had to contend with the painful legacy left by this regime and ultra-liberal globalisation since 1991. 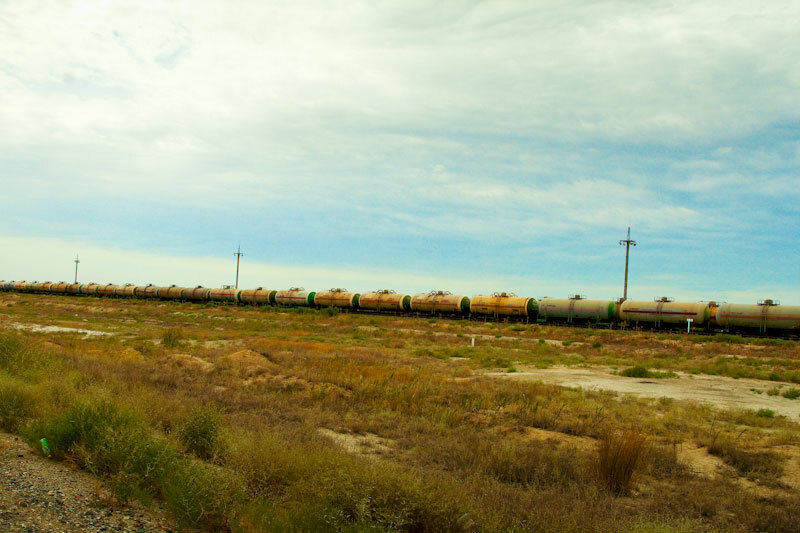 Nevertheless, Kazakhstan boasts many enviable assets: it is the 9th largest country in the world, with an area of 2.7 million km² and a population of 17.1 million in 1991, bringing together over 130 different nationalities and religions; it has the advantage of possessing the last oil reserves in the world, which remain largely unexploited due to their landlocked position (14th oil exporter in the world), and exceptional mineral resources rich in uranium (2nd), zinc and manganese (4th), lead, cobalt and iron (7th), gold (8th) and gas (15th), not to mention a great agricultural potential. Until 1991, the country was prevented from fully benefiting from its resources under the control of the expansive militaro-industrial complex of the Soviet Empire. This painful experience ended with the decimation of a third of the nomad population, who faced famine or were forced to flee collective farming and the violent repression that followed the frequent revolts, and with the transformation of the territory into an enormous Gulag. The “traitors” of the revolution (Ukrainians, Polish, Volga Germans, etc.) were taken to the North where they were left without identity cards in very difficult environmental conditions and were obliged build the foundations of an industrial and agricultural country. Koreans and Uyghur people escaping Korean partition and Chinese repression in Xinjiang found refuge in the South. 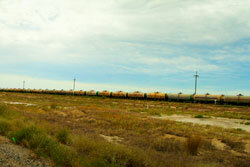 The Virgin Lands campaign, which was supposed to provide the Empire with grain in the 1950s, resulted in the rapid depletion of the poor arable layer of the steppe. 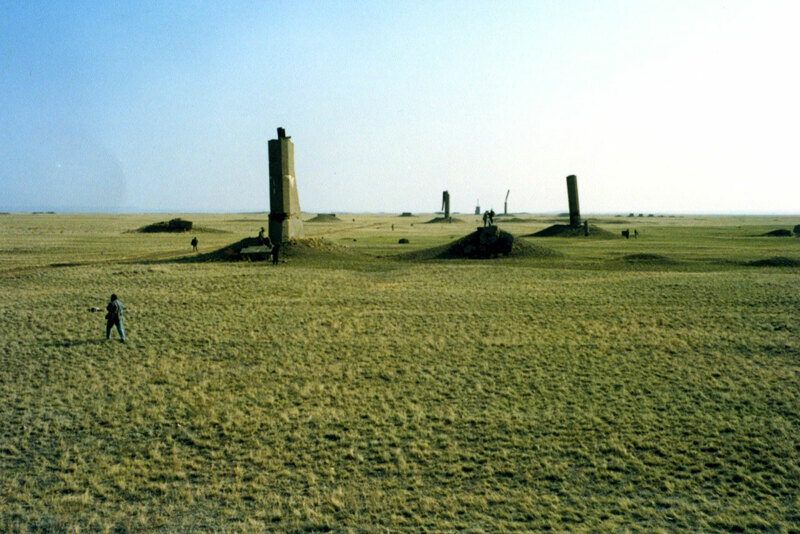 The open-air nuclear test site near the Altai Mountains has left the area contaminated for thousands of years. 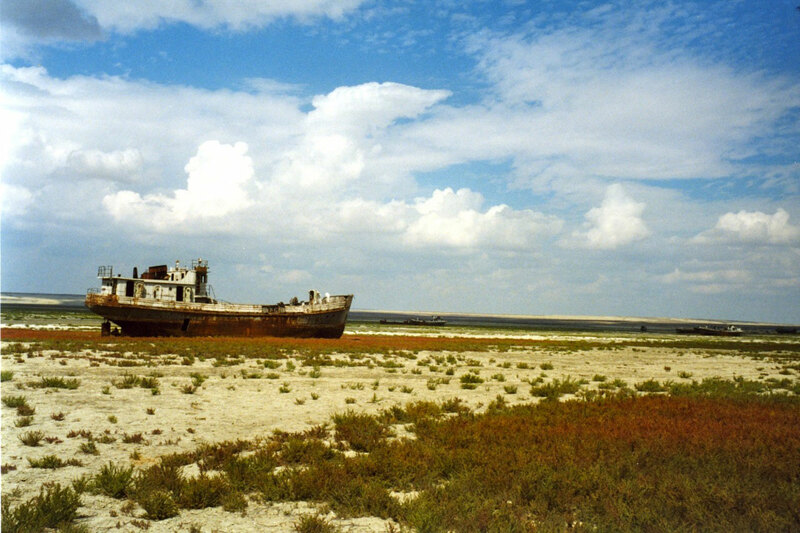 The badly regulated intensive cotton exploitation led to the drying out of the Aral Sea. 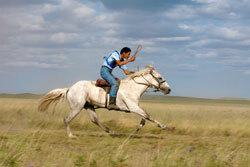 The suffering shared and endured by the Kazak people has formed modern Kazakhstan. In 1986, under Perestroika, the First Republic provoked a student uprising when Mr. Gorbachev dismissed the First Secretary, Kazak Dinmukhamed Khonaev, and replaced him with a Russian, G. Kolbin. 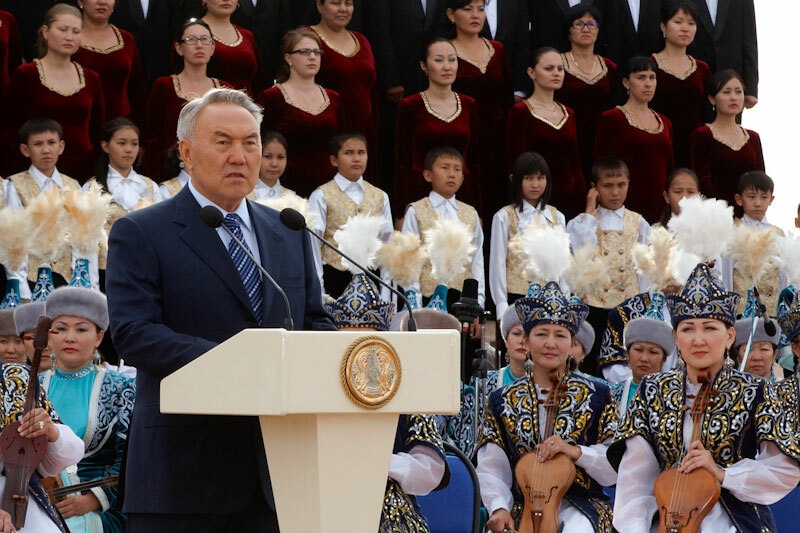 Under the new presidency of Noursultan Nazarbayev, a reformer from the ruling circle of the party, this young nation took control of the situation and set itself apart with symbolic and strategically important decisions. On coming into power, Nazarbayez stated his determination to peacefully manage the country by relinquishing nuclear weapons. On the 29th of August 1991, he succeeded in closing the Semipalatinsk Test Site, for which the Nevada-Semipalatinsk movement, led by the writer, Olzhas Suleimenov, with anti-nuclear militants from Nevada, had been fighting since 1989. 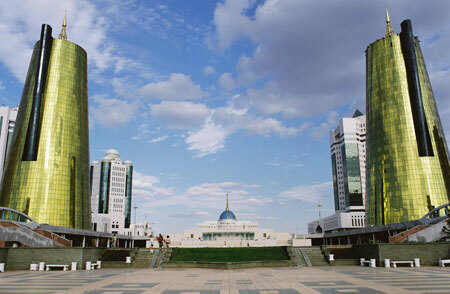 Unlike most oil-producing countries (where the elite badly handled their resources) and other emerging countries (which opted for shock therapy), the new president implemented a step-by-step development plan – Kazakhstan 2030 – to give his country ample time to reach the level of the major world powers. 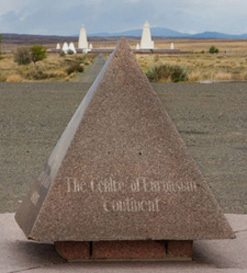 Aware of the necessity to reconstruct the Eurasian space following the European Union's example, which, for him is a model, he adopted a multilateral foreign policy to escape the Russian influence while offering Russia an alliance without the hammer and sickle within the Commonwealth of Independent States. Disproving the European experts' bleak predictions for dissolution, he gave his country a centralised Constitution based on the French model, created a new capital in the North near the problem zones where the Russian majority and Cossack groups were protesting for their territory to belong to Russia, and abandoning the capital constructed during the last century in the South to counter the Chinese threat. 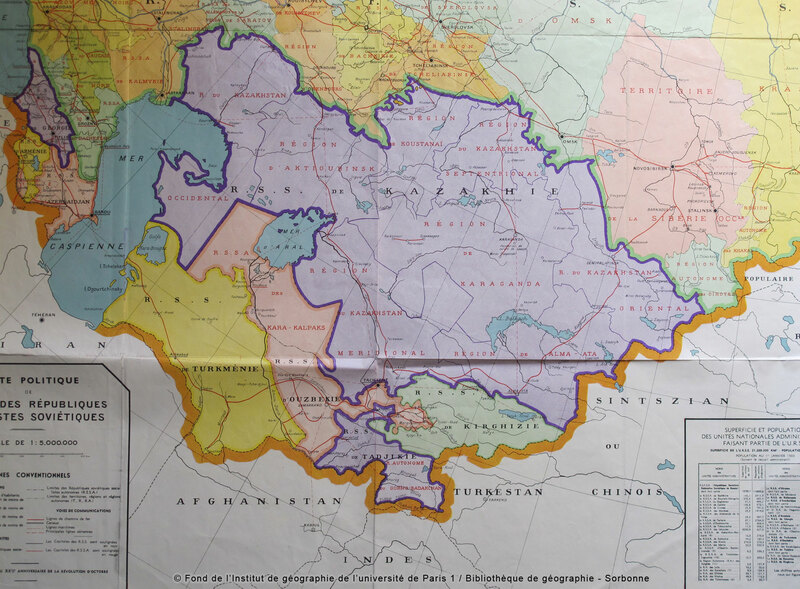 He disassociated Kazak citizenship from Kazak people in order to create a citizenship that would be more inclusive to all inhabitants of the Republic, impeding any feeble attempts at civil war. He established a State ideology of Eurasia, giving it the opposite meaning to Russian Eurasism – a substitute for imperial ideology in the aftermath of its collapse. He created the Assembly of the People of Kazakhstan of which he became the president in order to closely manage the 130 ethnic groups and religions. For Nazarbayev, because culture is closely related to religion, he ordered the construction of a pyramid of peace and concord and invites all world and traditional religions to a tri-annual meeting to reflect on the prevention of religious conflict. He attempted to theorise the Kazak model of co-existence and inter-ethnic tolerance in tracing its new path “towards Europe”. It is important to understand this aspect of Kazak politics in order to grasp the fundamental nature of the conflict management missions that the presidency of the OSCE has assigned itself, beginning with the Afghan and Israeli-Palestinian conflicts. But this aspiration to tolerance beyond the suffering is undoubtedly due to its history and strong culture, which contributed to cementing the destiny of Kazaks today. Between nomadism and settlement, the Scythians gave rise to the Sarmatians, then the Turks whose influence dates back to the 6th century when the Kazak territory became associated with the Turkish Kaganat (from which the Seldjoukide sultanates of the 11th century and the Ottomans of the 16th century originated). 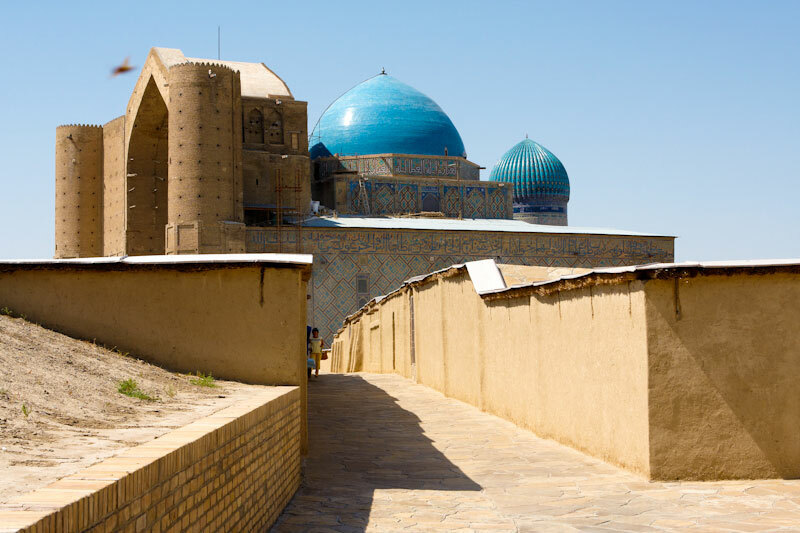 Islam, which appeared from the 8th century, especially flourished during the 12th century in the city of Turkestan thanks to Khodja Akhmet Yasawi who spread a Sufi version of the religion, tolerant of women and literature, fostering great minds like Abu-Nasr al-Farabi. Conquests of and alliances with exterior Chinese and Mongolian tribes continued from the 13th to the 15th century. The region was only governed by Genghis Khan between 1219 and 1221 and was subsequently divided between his sons. The disintegration of the Kaganat left behind groups of nomad cattle farmers, led by a Khan and allocated to certain territories. The Kazak tribes were first incorporated into a Khanate under the Uzbek jurisdiction in the centre and north-east of modern Kazakhstan. The Uzbek Khanate was the only of its kind to become strong enough to give rise to Uzbek nationality. These tribes would then form a part of a Kazak Khanate, which gained independence between 1456 and 1465, and expanded to the present south-east near Alma-Ata. After the collapse of the gold Horde at the end of the 15th century, an attempt to extend the Kazak State towards the West was launched. In 1520, a code was adopted that was maintained for two centuries. The emergence of the three current Juzes can occurred between the dismantlement of the gold Horde and the beginning of the 18th century (the Juzes - "hordes" in French - remain influential political and familial entities and have close ties with the lands on which the Kazaks live). 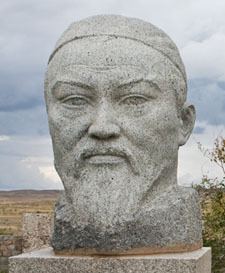 The repeated threats of the Djungar Mongol tribes at the end of the 17th century urged the country to request Russian protection, which resulted in conquest. Until Sovietisation, the “osmosis” between the two peoples was shaken up. This was due to the sporadic revolts linked to the progression of the Russian agricultural and military colonisation led by the Cossacks until the beginning of the 20th century in the outposts of the Ottoman Empire, which were experiencing increasing strategic importance. The colonisation process nurtured great minds due to contact with renowned exiles, of which the most famous was Chokan Valikhanov, a companion of Dostoyevsky during his time in exile. By opening itself up to the West, this process contributed to what the Kazaks call Kazak Enlightenment of which Abai Kynanbayev became its symbol and who achieved the transition from an oral to a written tradition and shared his vast knowledge of East and West with the people. He even spread the Declaration of the Rights of Man and of the Citizen in the steppe. Furthermore, from the beginning of the 1917 Revolution, the Kazak Intelligentsia, educated in St. Petersburg produced a wave of militants in favour of the emancipation of peoples, at the root of a very powerful cultural movement, which, in the 1920s, laid down the foundations for a philosophy of multicultural co-existence. But as the first victims of the Stalin purges, their message disappeared. Today it has been revived with its spiritual successors perpetuating the image of a deep and rich Kazak culture where tolerance is the supreme value. In his book, Le livre de la glaise, Suleimenov writes: “The historical nomad is a reality that becomes more complex every day. They are caught up in the traditional images of scholars. We still only have a very vague idea of the role they played in the history of humanity.” In light of the enthusiasm brought about by this presidency, which is organising a summit on tolerance in Astana in June 2010, UNESCO will launch the “International Year for the Rapprochement of Cultures” on the 27th of April 2010 with a concert of Kazak virtuoso musicians in the Salle Gaveau in Paris. On the 29th of August, the “International Day of Action against Nuclear Testing” will take place. 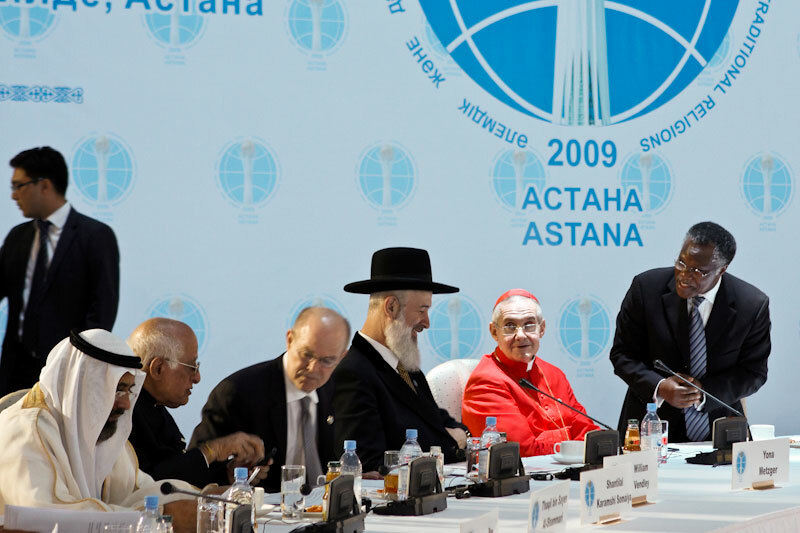 In 2011, Kazakhstan will chair the Organisation of the Islamic Conference. Thus, in the near future, there will be a number of interesting events concerning Kazakhstan that will encourage us to continue discovering this country. Wanda Dressler (Ed. ), Le second printemps des nations, sur la chute d'un Empire, questions nationales et minoritaires en Pologne, Estonie, Moldavie et Kazakhstan, Bruyland, Brussels, 1999. Wanda Dressler (Ed. ), L'Eurasie, mythe ou réalité en construction, Bruyland , Brussels, 2009. 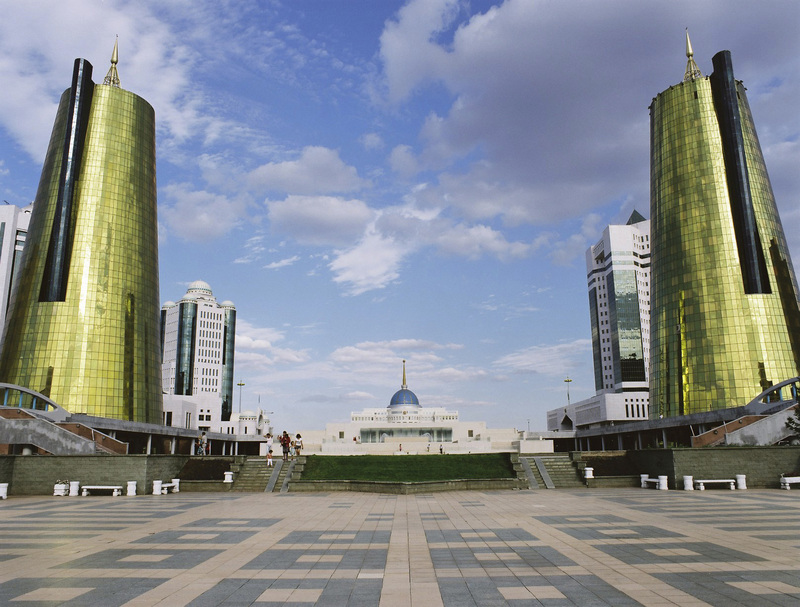 “L'essentiel des relations internationales", dossier Spécial Kazakhstan , no. 29 January/February 2010, 2010, le Kazakhstan à la tête de l'OSCE, in particular the following articles: "Le grand défi eurasiatique du Président Nazarbayev" by Simon Chancel; "Entretien avec Olzhas Suleimenov", "Entretiens avec Karim Massimov, Premier Ministre", "Un modèle de cohabitation inter ethnique" by Dmitri Friedman; "Voyage à travers le pays oublié" by Pierrre le Beller; "Enjeux géopolitiques, le Kazakhstan en Asie centrale" by Pierre Gentelle; "Le dialogue, Unique moyen d'assurer l'harmonie et le développement mondiaux" by Kassym-Jomart Tokaev; "Le pont entre l'Orient et l'Occident" by Dulat Bakishev; "Le potentiel énergétique du Kazakhstan" by Leslie Palti-Guzman, etc.